The sounds for In The Shadow of the Silent Mountain were recorded in the Picentini mountain range in Southern Italy from 2012 to 2015, mostly during the early spring of each of those years. 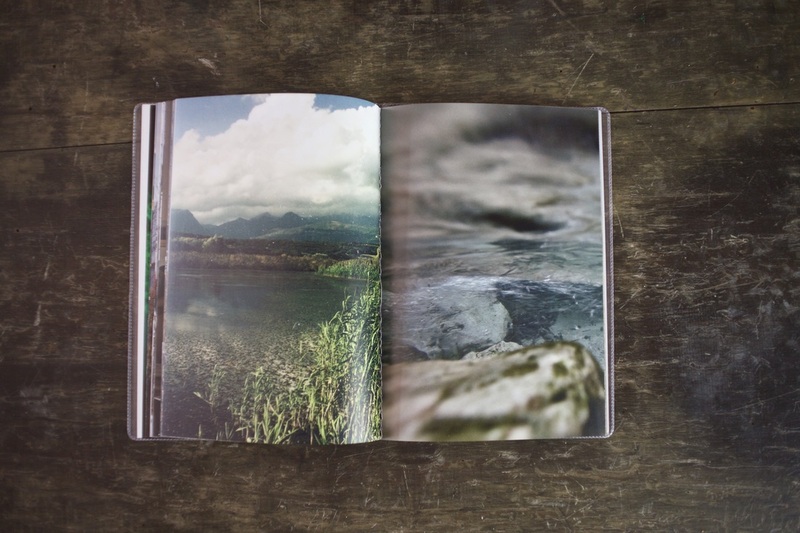 The compositions from these fieldtrips work in parallel to fifty 100-word texts and a number of photographs by my collaborator Chiara Caterina. 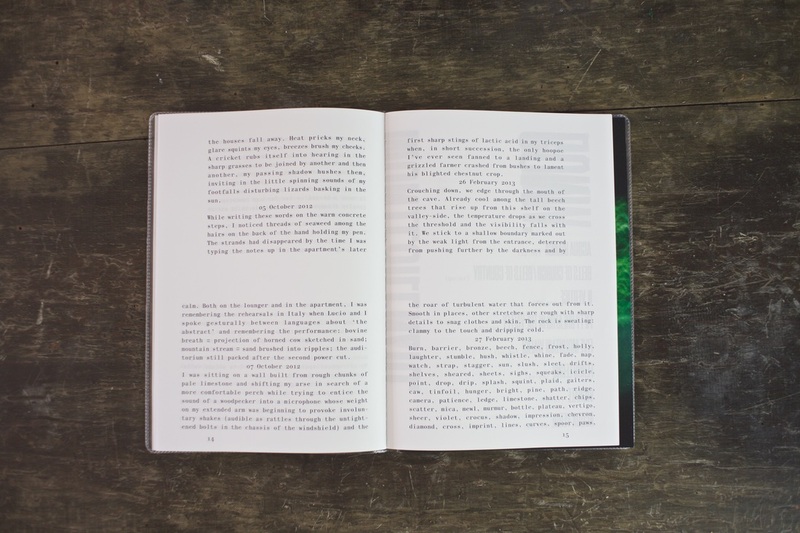 The compositions, texts and photographs are revealed on the dedicated micro-site and the texts and photographs appear in the limited edition publication. The publication involves two singer-stitched booklets bound into a clear cover that has been hand spray-painted with the project logo, an abstraction of the red painted stripes that mark the mountain sentieri or paths. The album is free to stream and download from montesilenzio.com. "The shadows from the silent mountains cast across our walks beneath blue skies and sullen cloud, above squeaking snow, cloying mud, cobbles and diamond tiles, beech leaves and crocuses, paths, icicles and stalactites, chimney smoke, spray from winter streams and waves against the sea wall; over chestnut and dairy farmers, joggers, cobblers and their grand children, priests, geologists and motor bikers, playground mimics, salamanders, unseen birds of prey, cows, dogs and goats. I heard the shadows, I saw them, but couldn’t write them, couldn’t record them: that was their silence". The album is published by Gruenrekorder as Gruen 162. The booklets were designed by Paul Bailey with Eliott Grunewald. The minisite was developed by Myles Palmer. The photographs are by Chiara Caterina.